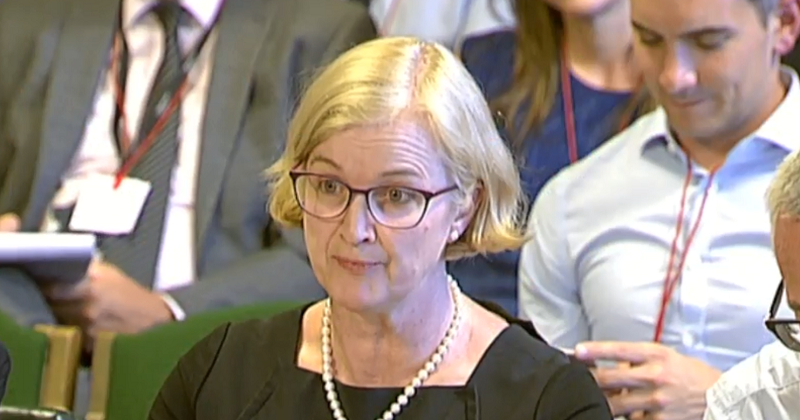 MPs have expressed “disappointment” with the chief inspector of schools, Amanda Spielman, for failing to speak out about issues facing the sector – such as the impact of funding pressures. In its report into the school inspection system, the influential public accounts committee accused Spielman of failing to make the most of Ofsted’s “unique position”, and intelligence from inspections to “lead change and be a force for school improvement”. Spielman’s independence and status as the head of a non-ministerial government department puts her in an “ideal position to speak freely, without fear or favour”, the committee said. But the chief inspector of schools, in response to the report, said it would be “inappropriate” for her to comment on issues on which Ofsted does not have “clear evidence”. The criticism from MPs follows a public accounts committee hearing in June, where Spielman was asked whether Ofsted reported to government about the impact of funding cuts in schools, but insisted her organisation did not have responsibility “for going through school budgets”. But today’s report read: “We asked [the] chief inspector for her views on the wider issues affecting the school system, including the impact of funding pressures, for example on the breadth of the curriculum, and concerns about pupils’ mental health and wellbeing. However Spielman said while she understands the committee is disappointed, she said: “My role is to provide Parliament and the Secretary of State with an evidence-based appraisal of educational standards. “It would be irresponsible of me to make comment on those areas where we do not have clear evidence of the impact on standards or young people’s wellbeing. It is not the first time Spielman has come under fire from a committee of MPs for a perceived failure to be outspoken, something that has put her at odds with her predecessor Sir Michael Wilshaw, who regularly intervened in the national education debate. Spielman’s candidacy was rejected in 2016 by the parliamentary education committee, after its members questioned her “passion” for the role and raised concerns that she had never been a teacher. Nicky Morgan, the education secretary at the time, appointed her anyway, and she replaced Wilshaw last January. MPs have recommended Spielman write to the committee next month with her “reflections on the main risks to schools’ effectiveness and the systemic causes of poor performance, including the impact of funding pressures”. Geoff Barton, general secretary of the Association of School and College Leaders, defended Spielman, but said he would like to hear more from her on funding. “Amanda Spielman has spoken strongly on a number of issues in her time as HMCI, including the importance of curriculum breadth, and we know that she speaks without fear or favour. The reason Amanda Spielman can’t comment is because inspectors shy away from looking at strategic financial leadership in schools – this is the real issue. There are clear examples of inspection reports where a school had a huge deficit but it wasn’t mentioned. A few years ago there was a case where the school with the highest deficit b/f in the country, around £2.8m from memory, was inspected in the autumn. Inspectors believed the head and governors who said it would be brought into balance by the year end . What happened? It increased to £3m by the end of March. How can an improvement plans be implemented without money, and what will happen to standards that are built on shifting sands of low class sizes and unaffordable staffing, if serious cuts have to be made, as they must be to comply with funding body requirements? Financial leadership is a key element in these fiscally-challenging times and Ofsted needs to take notice of it.